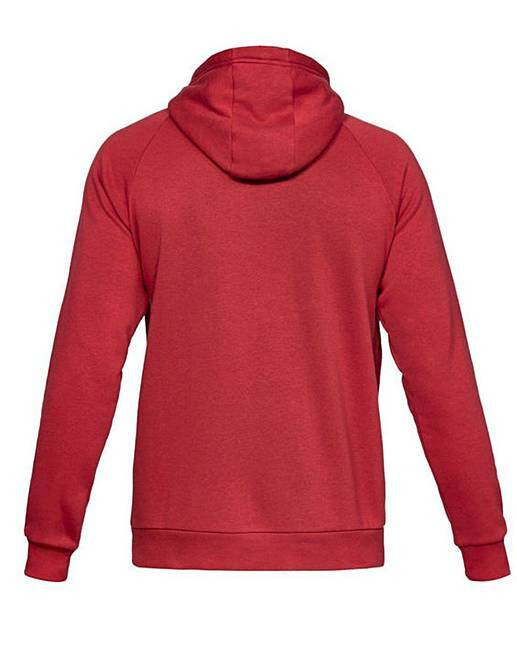 This Under Armour rival full zip hoodie has a loose fuller cut for complete comfort. 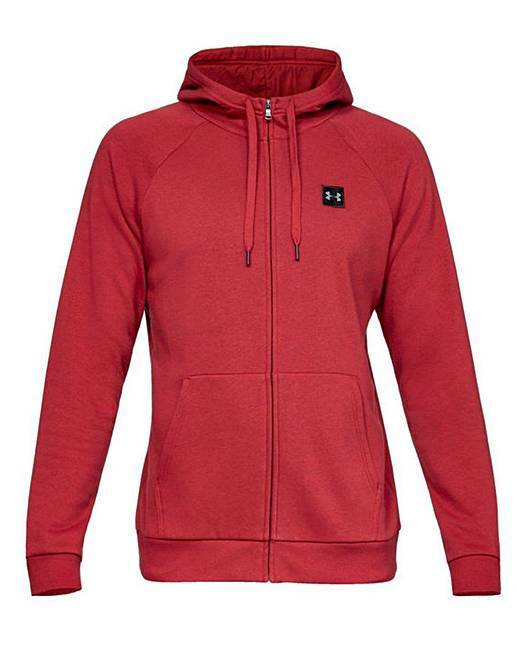 The ultra-soft, 230g cotton-blend fleece material wicks sweat and dries really fast. 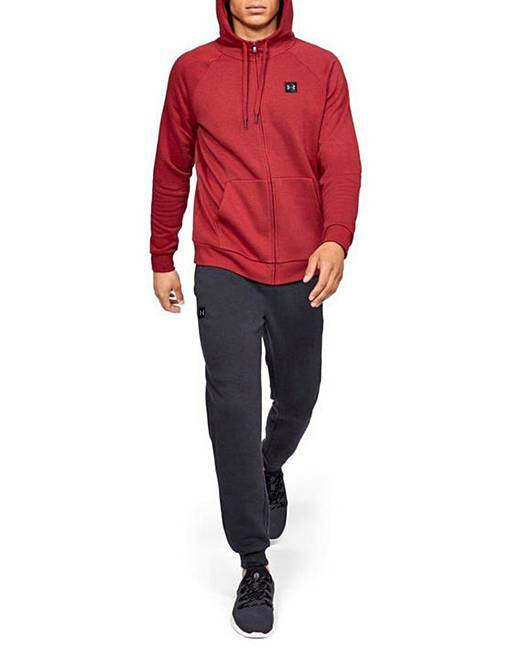 Also features an adjustable crossover hood with open snorkel neckline, open hand pockets, ribbed cuffs and hem, raglan sleeves and woven patch logo. 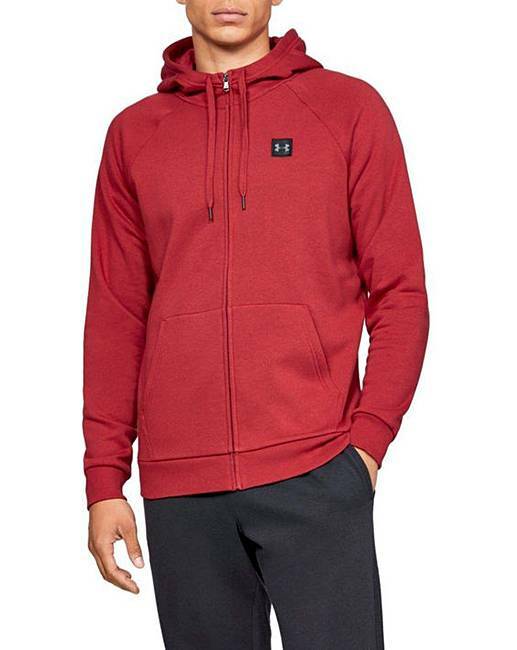 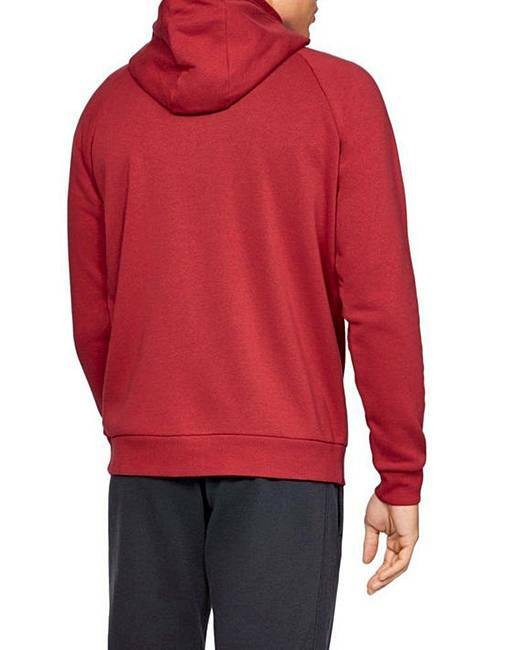 This hoodie has a new, streamlined fit for a more athletic look and feel.